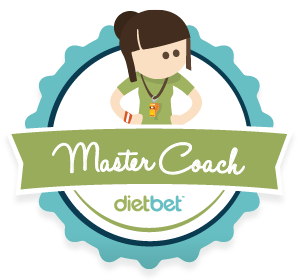 From Fat to Fit Chick: : Giveaway Alert! The Color Run :D Woot!! 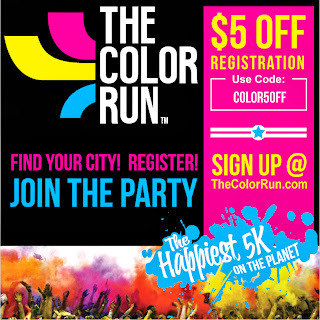 I havent done a color run yet but I would love to make it my first run. It looks like so much fun!! OMG id LOVE this!!!! I had to sadly miss the NYC run this year due to some personal issues. Was so upset and i couldnt transfer it either. Ive lost 165lbs and WANT THIS SO BAD!!!! Never did a color run & would love to do it FREE!!! I haven't done a color run yet, but hope to soon! My sis and I drove over 3 hours to do this run last year and LOVED it. I would love to go to my first Color Run! There's one in Dallas I would love to try. I'm a faithful FB follower of yours! You have a great inspirational story. I've never done a color run before. I've.. never done any actually. But I need a kick in the pants to work towards a goal. I think this could be the fuel to my fire. I've heard this is the best run ever! Hi, new follower to your blog & lovin the inspiration. Never done a run....yet but really want to do the color run!! 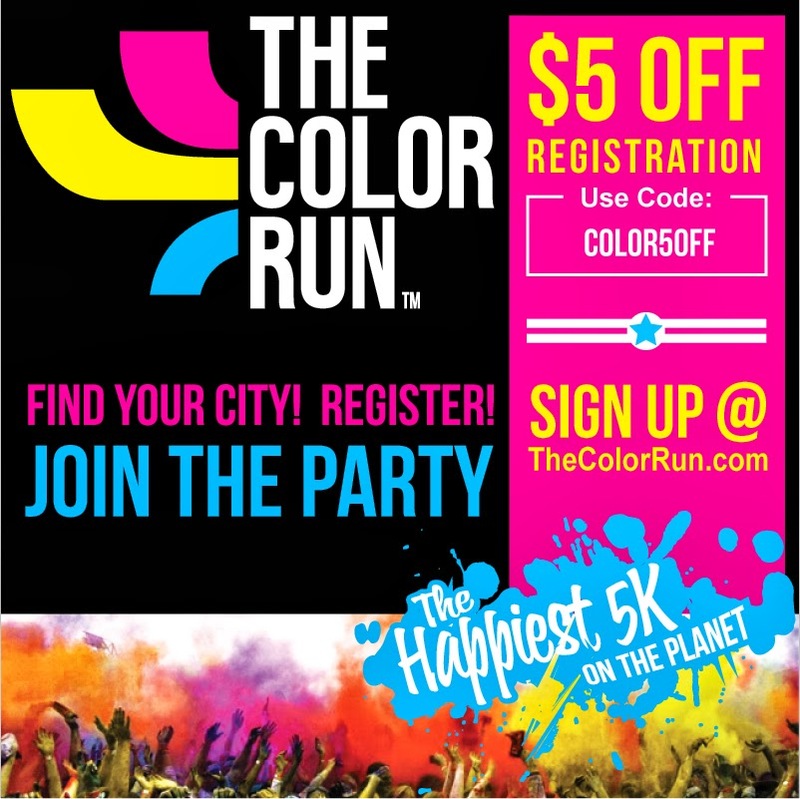 I wanted to do the Color Run in Charlotte last fall but just couldn't pull the money together for it then. Same problem this year but I am in much better shape and much more motivated this year! Need this...wanted to do one earlier this year..but, really cant spend money...would LOVE to get to do one!!! I would love to do this run! I have never done a color run. My sister did one in San Francisco and loved it! I would love to do one! did the one in chicago but my kids want to fo one and its costly for the whole family. thanks for the chance to win! I'm just starting my fitness journey after having my daughter a year and a half ago. I was getting fit before I got pregnant, but apparently someone else had other plans :), but a 5K would definitely be a goal and motivator for me!!! I was signed up for one but had not fully recovered from a surgery I had and was not able to do it. :( I REALLY want to do one!!! No, but it sure looks like fun! I did a graffiti run which I believe is similar and loved it! I hear the color run is the best of its kind!!! I hope I win! I did the color run this year! My first 5K ever!! Only possible because I quit smoking and lost 50lbs before hand! I have not done a color run yet, but I did the neon splash dash and loved every second of it!!! The color run looks like a lot of fun, never done one but would love to try it! I've never done one, but I've always wanted to! I have never done this run before! But I have heard it is so much fun and I would looove to do it!!! I have never done this run for or any 5k but this is one I really want to do. Haven't done it yet, but do plan on doing it sometime! Looks like loads of fun! I haven't done one yet, but I really want to! Haven't gotten to run one yet, but want to so bad! Looks like so much fun!!! The color run was my first 5k and I had a blast. I have always wanted to do a color run. We have one coming up in November. This would be such a blessing. I'll run it for the first time in December. I can't wait! Ive done a color me rad race and it was awesome! I have always wanted to do one of these!! Loved The Color Run and I can't wait to do it again next year. 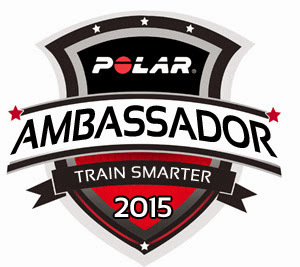 This is a great for anyone's first 5K! I did my first ever 5K, The Color Run when they came to Nashville and fell in love!! At that point in time I had not started my weight loss journey. I was actually pushing my friend in a wheel chair because she had hurt her ankle at work and I was not cool with her missing it. I REALLY wanted to do the Color Run with my daughter on the 13th in Nashville but sadly my husband lost his job so we are having to miss it. Oh my gosh it was an amazing experience the first time, though! We are so excited for this giveaway!! 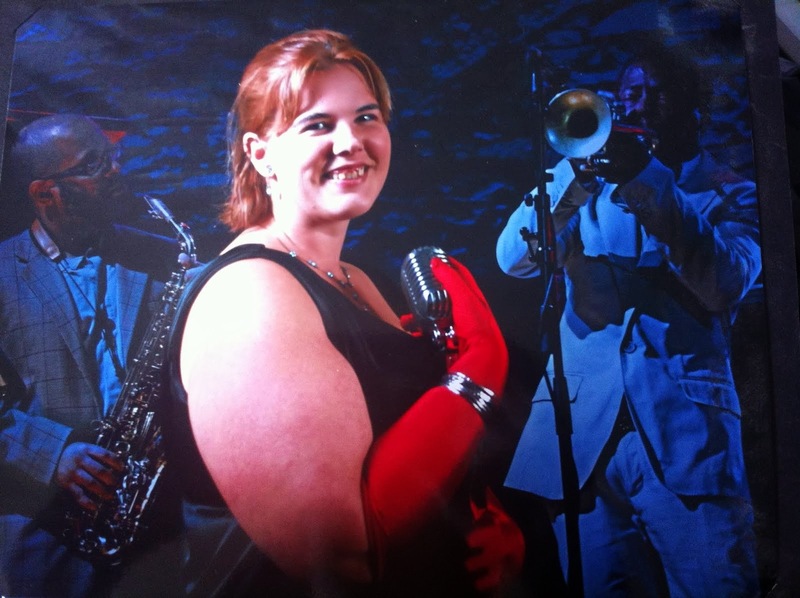 We love Fat to Fit Chick. I'm anxious to see when and where it will be here in Baton Rouge. I have never done a color run but plan to with my daughters, sister, niece, and nephew - hopefully next Spring! I would love to do the color run not only experience the fun, but the run as well!! Working toward C25K...maybe I'll make it this time! Would love to do an organized run. The Graffiti Run was a slight mess. I've never done a color run.....but I can't wait to do it! How do you enter contest? NO i HAVENT i REALLY WANT TO BUT COULD NOT AFFORD THE TICKETS WHEN THEY WERE NEAR ME. I've never done the color run but hope to do the one in East Rutherford next year with my 3 year old (in his stroller of course!!) while dad is deployed so we can take some fun pictures to send him. Since I first learned of the Color Run two years ago it was something I wanted to do. It will be my first 5K that I will actually be able to run. The Color Run Is So Much Fun. Next Year My Husband And Daughter Want To Join In The Fun. Looks like fun! I've loved looking at friends' pictures of the Color Runs they did. Would love it!!! Never done it, but looks like so much fun.